It doesn’t matter if you’re a Stay-At-Home Mom or a dorm-dwelling college student—we understand you have priorities. Unfortunately those priorities don’t often help pay the bills. That’s why we offer work at home business opportunities selling promotional products. With our work at home business opportunities you can continue being a student or mom, while earning yourself a new title—business owner. Along with your new title come the many benefits our work at home business opportunities provide. Find the three benefits of accepting one of our work at home business opportunities below. Kaeser & Blair work at home business opportunities allow you to create your own schedule. That means working in-between classes or while your kids are taking a nap. You can work a 9 to 5 or a 5 to 9. With Kaeser & Blair’s work at home business opportunities, it’s your choice. Unlike most work at home business opportunities, Kaeser & Blair doesn’t ask you to sign any binding contracts or make any unfavorable agreements. When our business owners accept one of our work at home business opportunities, they are doing it on their own terms. You can have the freedom to run one of the work at home business opportunities the way you want to. With all of Kaeser & Blair’s work at home business opportunities, our business owners never have to worry about finding space for the promotional products they sell. Kaeser & Blair really is one of the best work at home business opportunities for your home or small dorm, because all you have to worry about is making the sale. Once you submit the order, we’ll send the products to your customer. 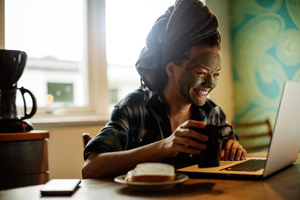 These three benefits are why Kaeser & Blair is considered one of the only risk-free work at home business opportunities around. So what do you say? Would you like to become a Kaeser & Blair business owner? Start pursuing one of our work at home business opportunities by requesting your free trial launch package today.